…and I don’t mean that in a sense of letting others herd you around. Recently, one of my Facebook friends posted this article. In it is a list of all 50 states with their people populations compared to their cattle populations. I’m sure it’s no shock to y’all that BOTH my states of residence: Kansas and Oklahoma were hanging out in the top 10 of more cattle than people. And I may have done a little happy dance that they both came out above Texas. Disclaimer: No offense Texans, I really can’t help my Red River rivalry, it’s embedded into every fiber of my being. I’m sure each and everyone of you have noticed, but this past week on social media has been INTENSE. I’ve actually gotten to where I avoid it at all costs and just hang out in my happy little Pinterest and Vine worlds — it’s safe there, no drama. — (I did shamelessly insert my opinion about the GMO scare, sorry I’m not sorry.) I thought election time was awful, but I do believe everyone’s opinions that are painted across my news feeds have topped that. This BOTHERS me… a lot. Practice what you preach, be the change you want to see, and take one really good long look in the mirror, before you stand on your platform, slinging red paint on everyone below. …awkwardly getting away from that soapbox. This subject, combined with the cattle to people ratio got me thinking. People should be more like cows. I was supposed to photographing a goose hunt when I took this picture… Bet y’all never would’ve guessed I’m easily distracted. When cows get annoyed with each other, one knocks her head into another, the favor is usually returned, and then everything is all good — back to grazing. When cattle “sling mud” it’s actually mud, you know the stuff that comes from the ground after a rain/snow — not hateful political propaganda. You’re awesome if you win a game of “king of the mountain.” Ever watched calves play? They’ll find the manure pile, climb to the top and knock each other off. This game goes on for hours. It’s usually the short stocky ones that win… Which is maybe why I feel like I’d be great at this. You are preferred to be larger framed, heavily muscled, and a little bit of chubbiness isn’t necessarily a bad thing. i.e. 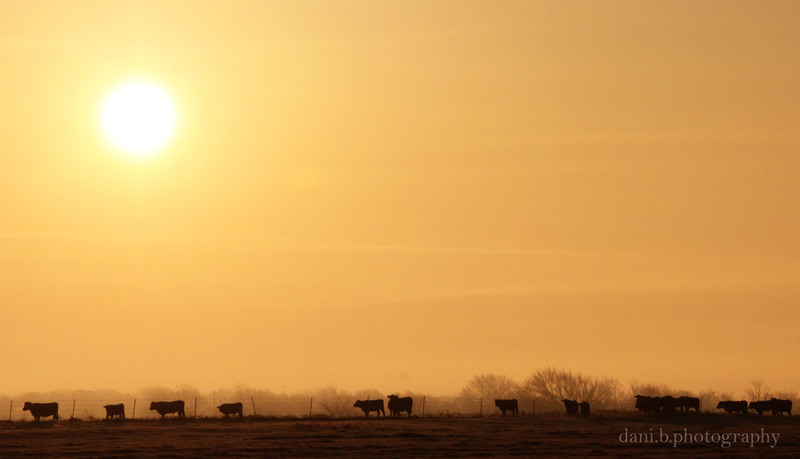 Cows don’t have to worry about swimsuit season. And speaking of food, wait… Were we speaking of food? Anyway, for cattle it’s socially acceptable to be the first in line when someone yells, “Dinner’s ready.” People, however, stand around, looking at their feet, waiting on one person to jump in line so everyone else can follow. Because who wants that judgement? Who really wants to wear the scarlet letter of ‘that person’ who was first through the dinner line? I know I certainly don’t. Does that make sense? Do you suddenly feel the urge to rub your neck on the bark of a tree, or randomly buck in circles in the pasture, just because you can? Okay… maybe that’s a little far fetched. And let’s talk about the truly important issues in life. 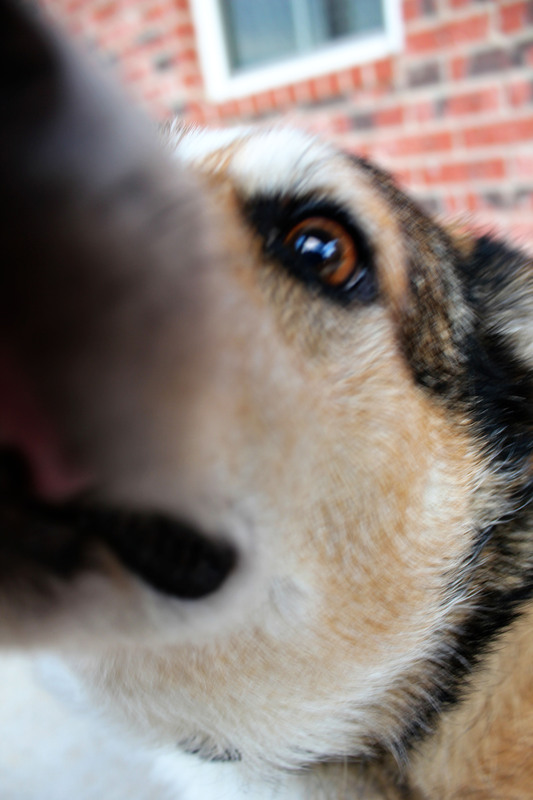 And for your Friday, here is a picture of a Corgi licking my camera lens. Because Corgi’s can make even the hardest of hearts smile. And because I am the definition of random. Love this! Great post girl!!! Love this! Never be afraid to stand your ground and speak what you feel, especially if it comes out like this! 🙂 And I am happy to be in a state (NOW) that has more cattle than people! 🙂 Great post! I like the way you got your point across and didn’t do in a derogatory way. Kudos to you. I grew up in Nebraska and live in South Dakota. I am pretty sure both my states are on the Top 10 list for more cows than people! Love it! I feel like today wouldn’t be a bad day to be a cow, I’m sure I’d get more sleep at least! Great post! Very well said!